Although the short-lived Galaxy Note 7 was plagued by battery fires, the Galaxy S7 line should be safe -- despite some rare incidents caused by damage, Samsung said in an unusual press release. "Samsung stands behind the quality and safety of the Galaxy S7 family," the company publicly said. While saying there have been "no confirmed cases of internal battery failures" among over 10 million devices being used in the U.S., it acknowledged "a number of instances caused by severe external damage." The company also remarked that it couldn't judge the cause of any incident without being able to examine a device. 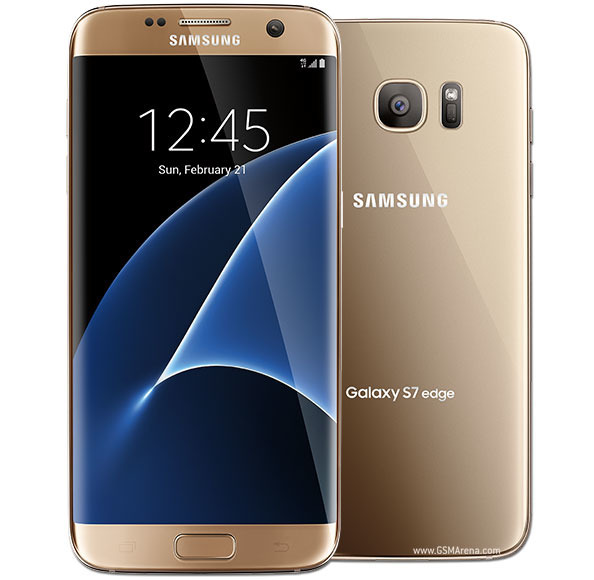 The S7 and S7 Edge have been available since March, and the S7 Active was released in June. There have been periodic reports of the phones swelling up or exploding -- one lawsuit is underway, according to Fortune -- but the number of incidents is well below that of the Note 7. Indeed Apple devices have periodically been subject to battery fires, though these have typically been blamed on issues like faulty third-party chargers. On Sunday, Apple launched a replacement program to deal with iPhone 6s users experiencing sudden battery-related shutdowns. —but the number of incidents is well below that of the Note 7. But is the number of S7 incidents below that of exploding Samsung washing machines? Right. Sammy also stated they have a bridge for sale. Waaaaaiiiit a second. Did Samsung just confirm sales of only 10 million in the US? Wasn't there an article from some asswipe analyst that said the S7 was beating the iPhone 6S in sales in the US? 10 million sounds like a dismally small number for the biggest smartphone market in the world. To be fair there are also “scattered incidents” of iPhones catching fire too. Lithium is a very reactive element being #3 on the Periodic Table and all. While it’s fun to mock Samsung they will be back with a vengeance. Consumers have very short memories and when the Note 8 comes out they will scoop it up. I had a furnace technician out to the house a few days ago. In the course of conversation he said had a Note 7 and had exchanged it for a Galaxy S7 after the recall. He was miffed he had to pay sales tax and other fees for the exchange yet he plans to get a Note 8 as soon as it comes out. Didn't they say pretty much the same thing about the Note 7? So these "incidents" so close on the heels of the Note 7 problems don't seem coincidental? Hmmm interesting... There hasn't been another incident since the whole Note 7 thing has died down. Yet that doesn't seem strange to you? Your furnace guy was probably in that same camp of folks saying that their Note 7 was fine and they would rather risk injury, or fire than own an iPhone. Actions speak more loudly than words: Samsung execs are worried that the company's exploding Note 7's and washing machines will stigmatize all of its consumer products. This press release will provide ammunition for boosters if defective Galaxy 7's begin appearing in the news. ‘Samsung is now reassuring customers that its smaller-sized, S7 range is not affected by the same issue,” really? have they officially announced what caused the issue to start with? i thought they promised the results of their investigation to the public once they determined what it was. Brought my dying iPhone 6s to the Apple store today to get the battery replaced but they ran out already at noon. First time I have had a problem like this with an iPhone so I guess it can happen to anyone phone maker. The CPSC says there have been 10 fires since the recall, that was several weeks ago, so there have likely been more by now. First let me say, I would NEVER trust a furnace technician who still carries a Samsung phone after having to exchange his Note 7. Doesn't sound like someone able to carry out a proper risk analysis. Second, wouldn't it make sense that the technology a manufacturer has developed for charging their flagship line of devices, in this case phones and specifically Samsung's Galaxy line, would be utilized in their other premium phones? Surely Apple doesn't reinvent charging technology for each model of the iPhone, and surely they utilize the same tech in their iPads and iPod line. Same is likely true of Samsung. The tech they developed for charging the Galaxy line was likely used/adapted to the Note phones. In doing so, perhaps they pushed that tech a bit beyond its limits, resulting in the disaster that ensued. And that means the potential likely also exists in the entire Galaxy line, and sure enough, there have been incidents. The fact similar issues can occur in iPhones, when a third-party charger is used, suggests that Samsung is behind in Charger technology. That's bad news for all Android phones as the demands for the convenience of fast charging interact with the requirement for less compute energy efficient Android phones to have larger batteries. This is how a problem ignored for years by the Android camp, and addressed from the start by Apple, can come back to haunt. They also said the Note was safe.. twice. The S7 probably is safe. They sold far more than the Note 7 and the number of incidents is substantially lower. However, the fact they even have to make such an announcement is not good. On a related note, remember all those garbage hover boards with batteries catching fire? A local store in the mall sells them and have a large sign that states "Samsung Battery Inside". Imagine building your product with a Samsung battery (which would be superior quality compared to all the bargain brands) and then having Samsung have to issue a recall over something battery related. The problem wasn't so much the product defect, more the way they handled it: cover-up, panic, no proper investigation, more panic, more cover-up, delaying tactics and then defeat. The phones were dangerous. They put lives at risk. Like others have already said, this was the same story with the Note 7 before it was recalled. Wouldn't ever touch end products from this brand with a ten foot pole. As long as you like carrying a fire extinguisher with you all the time. When you sell millions of phones, you're going to have a few defects. There's been Exploding iPhones also. I don't think there's any abnormal issue with Samesungs S7. Lithium is some nasty stuff. If it's not 100% perfect, you could have a issue. You will never have 100% perfect anything in manufacturing. Just look at Lemon Laws for Cars. What matters is the percentage that are flawed. Is it 1 in 100, 1 in 10,000, 1 in a million? 1 in 10 million? 1 in 100 doesn't sound to bad, but when it's millions of phones, that number of bad shoots up into really bad numbers of phones. Even 1 in a Million sounds really good, but Apple sells 100-200 million phones in a year which means 100-200 bad iPhones. Sounds like a lot, but that's not bad for the number sold. Samesungs Note 7 was something like 200 out of 2.5 million sold. Does anyone have the exact numbers?!?! Well Samesung does, but it was clearly bad enough to completely kill off the phone and recall every one of them. You don't do that over a few phones. I don't think there's any real problem with the S7, and the S8 will be here before long. I have to be fair on both sides of the table. What we really need is better/safer battery tech!!! They've cast a pall over their entire product line that will not simply disappear.